Aglaonema Marias can be grown in just about anywhere in your home or office. It tolerates both low and bright light, and does not need natural light to thrive. 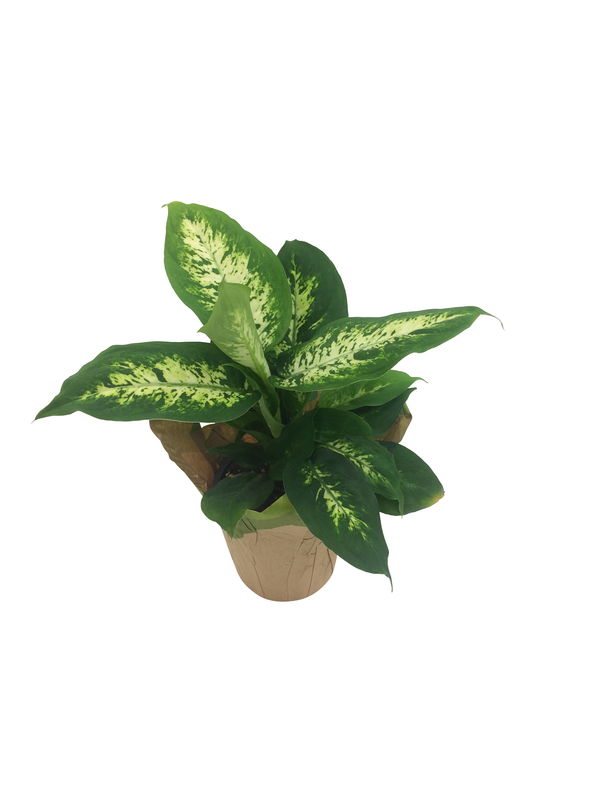 Aglaonema Marias grows well in enviornments such as an office with fluorescent lighting. Water the plant keeping it evenly moist. Fertilize twice a year using a general purpose fertilizer. Not for human or animal consumption. Also available in 6in premium. Neanthabella palms need filtered light, place near a southeast or west-facing window. Use a moist, well-drained soil, and water the plant as soon as the soil feels dry just below the surface. Be cautious of over-watering your Neanthabella Palm. Use a container with functioning drain holes, remove any excess water collected in the saucer. Fertilize lightly from late winter through early fall. Neanthabella palms prefer a temperature of 65 to 70 degrees Fahrenheit at night and between 75 and 85 degrees during the day. Croton petras come in many variations all generally seen as houseplants. Croton petras growing in containers should only be watered when the top of the soil is dry to the touch. This plant likes a warmer climate, so keep away from cold windows and drafts. Also available in 6″. Dieffenbachias do well as a house plant, thriving year round in room temperatures averaging 65-75 degrees. Dieffenbachia plants do not enjoy temperatures below 60 degrees. The plant cannot handle full sun but does appreciate good lighting, like you would find in a kitchen. Keep the soil moist to the touch. Also available in 6″ and 10″. Spengeri love moisture and should be given humid conditions. Stand the pot on a tray of damp pebbles or clay granules in your living room or family room. Place in indirect light and keep soil moist to the touch. Room temperature is ideal for Spengeri. Also available in 8in. Your Marble Queen likes the soil to be kept on the dry side. During the spring and summer, water when soil is dry to the touch. A Marble Queen prefer a bright indirect light. Temperatures between 65-85 degrees are best for your Marble Queen. The leaves may be damaged if it’s temperature drops below 55 degrees Fahrenheit. Also available in 6″. The Golden Pothos is the number one house plant for cleaning air. It prefers medium to bright indirect sunlight, but is able to thrive in any lighting situation. Keep the glossy foliage clean with a damp towel. 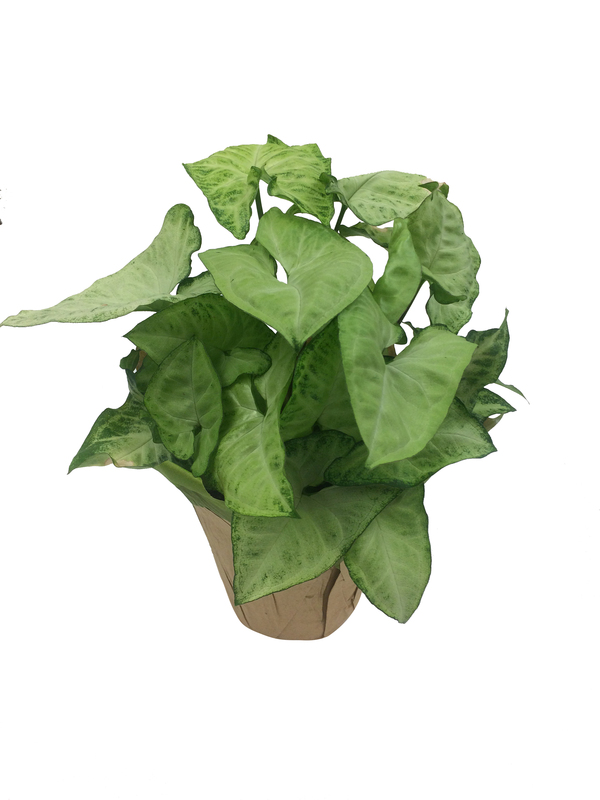 To water your Golden Pothos, let the plant go completely dry and then drench it. Try to avoid over watering and fertilize very little if at all. Also available in 6″ varieties. This arrowhead plant should be allowed to dry between watering to prevent root rot. It prefers temperatures between 60 and 75 degrees F. Proper Syngonium White Butterfly plant care requires humid conditions, especially during the dry winter months. Mist the plant regularly or place its container on a tray filled with pebbles and water in order to increase the humidity for optimal growth. Also available in 6″. 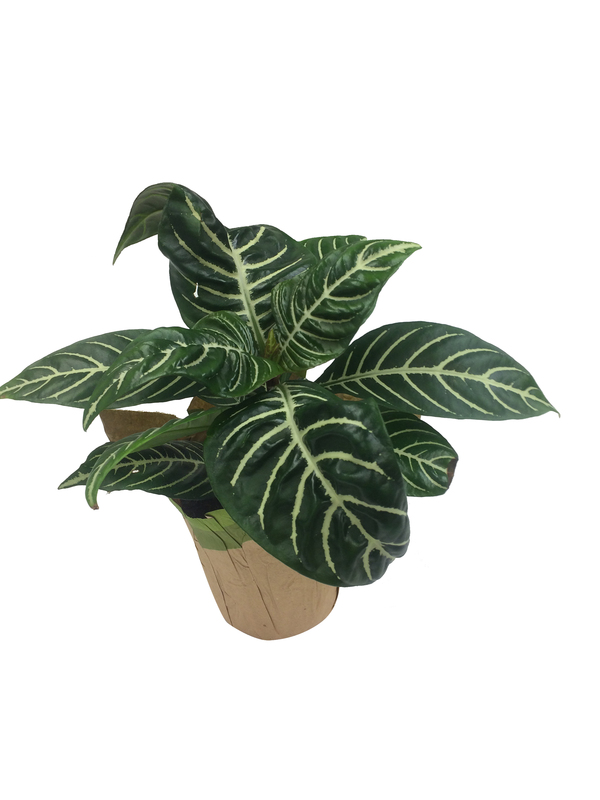 Zebra plants prefer household temperatures around 70°F and need to be kept away from drafts. Set the pot on a tray filled with pebbles and water, or regular misting, will retain high humidity for the plant. The bracts will bloom in the summer time. The true flowers die within days, but the colorful bracts ranging from red, orange, and yellow can remain for months. Once the bracts begin to die they should be removed, and the plant cut back to allow room for new growth as you enter the new yearly cycle. Also available in premium 6in. Ivies prefer to be on the dry side, so check if the soil is dry to the touch on top before adding water. Make sure your Ivy is in a container that allows for excellent drainage because it does not like to be in standing water or overly wet soil. Fertilize your ivy once a month in the spring, summer and fall with a water soluble, nitrogen-rich fertilizer. Ivies benefit from periodic washing in order to remove dust and pests from their leaves. Wash the plant by placing it in the shower and allowing the water to run over the leaves for a few minutes. This plant likes bright, indirect lighting. Keep it at room temperature and away from any potential drafts. Let the soil dry down in between watering. Prune the plant as needed to prevent it from becoming leggy. Pearl and Jade Pothos prefer medium to bright lighting and like living in a container that allows the soil to drain. This plant likes humid, room temperature environments away from any potential drafts. Water your spider plant moderately keeping the soil moist in the spring and summer months. Fertilize twice a month in the spring and summer. Place in bright to moderate sunlight in room temperature. Gently use your fingernail to remove any unsightly brown residue that might appear on the leaves every few days.